We are a coveted firm, which is engaged in manufacturing, trading and exporting a wide array of Industrial Plants. The offered array of industrial plants is manufactured by our experts in compliance with the industry laid standards. 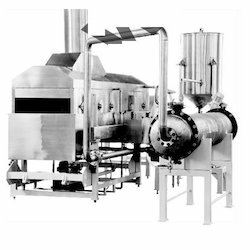 Under this range, we offer Starch Recovery Plant, Nitrogen Generation Plant, Namkeen Making Machines, Biogas Generation Plant, Industrial Roaster and Effluent Treatment Plant to name a few. These plants are highly known for their rugged construction and low maintenance. Top Paddle belt ensures accurate product retention. Each slice gets exposure to hot water, result maximum sugar removal. 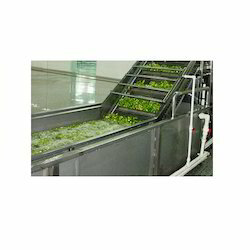 We are the leading manufacturers of Vegetable Processing Plant being provided to our customers using supreme quality material and manpower. 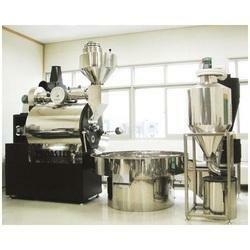 We are one of the accredited manufacturers, suppliers and exporters of a premium range of Industrial Roaster. The offered product-line is manufactured using excellent quality material so that these are in adherence with international quality standards. Our professionals follow industry standards & norms while manufacturing the offered product-line. To cater to the diverse requirements of customers, we offer these products in various specifications. Better oil management and maximum oil turnover, better product shelf life. Total system oil is 30% less. Energy saving as total system volume is less. Fitted with eye link belt , best in its class, avoid material clogging and ease in cleaning. Fritolay users Continuous peelers only worldwide. Better control on peeling quality. 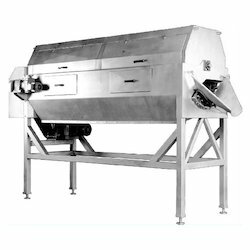 Batch peeler as an standard equipment for low capacity line. 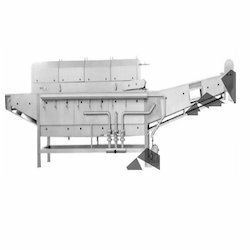 Stream peeler as an option for higher capacity line.